Buy the Merits Health Roadster Mini Travel Mobility Scooter . 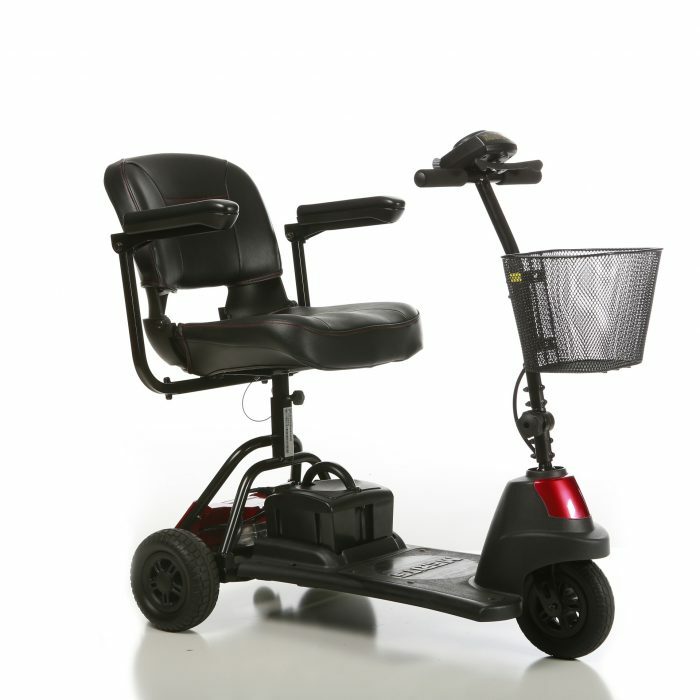 Merits Health Products is known to produce top-quality and affordable power wheelchairs and mobility scooters. By combining years of experience with trusted research as well as understanding and appreciating the needs of customers, Merits is constantly producing equipment to enhance lives. We at Home Lift Pros, are proud to say that we work directly with them to offer customers these great products at prices that anyone can afford. The Merits HealthRoadster Mini Travel Mobility Scooter is one of the newest designs on the market that is for sale. This travel mobility scooter has a simple and compact design which makes it perfect for in home or outdoor travels. Where is the Affordable Merits Health Roadster Mini 3- Wheel Mobility Scooter Best for Travel? The Merits Health Roadster Mini mobility scooter is one that can be used indoors or out. 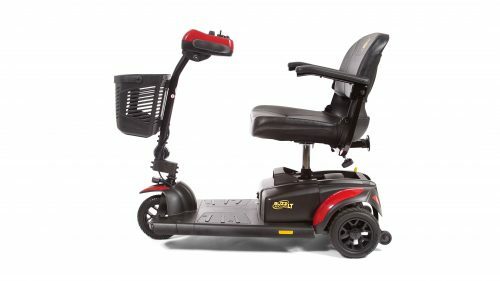 If you need daily help to get around the house, you will appreciate the features that this scooter offers. The tight turning radius of 34.6 inches will allow for easy maneuverability around furniture, and with the overall width of 21 inches, getting in and out of standard sized doorways won’t be an issue. 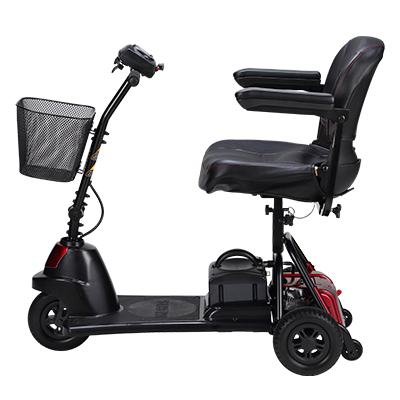 Taking this scooter out of the home to restaurants, shops, or to cruise along pathways is a perfect way to gain independence. With a top speed of four miles per hour and a drive range of six miles on a fully charged battery means that you can enjoy yourself while out with friends or family. The compact design is perfect for riding through large crowds. The non-marking, puncture-free tires are great for riding both in the house or shops, as well as while riding on sidewalks or the park pathway. 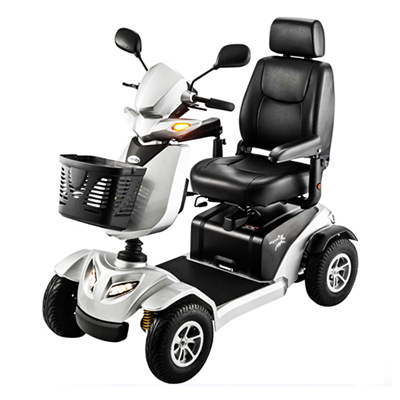 Whether you would like to ride this scooter to the neighborhood community center, or to take along with you while visiting out of state family. Comfort Factors of the Merits Health Roadster Mini Mobility Scooter. This scooter really is a no hassle product. It is a basic scooter for those who want to be on the go. 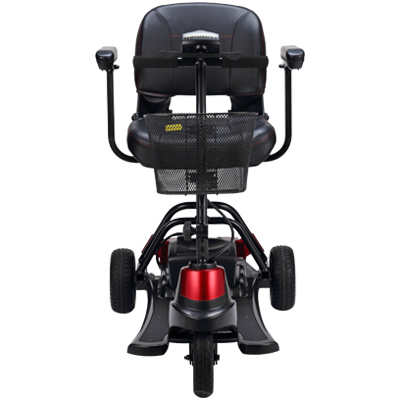 With a weight capacity of 260 pounds and adjustable seat height, armrests, and tiller angle, most anyone with an average size build will be comfortable riding it. The Merits Health Roadster Mini mobility scooter for sale at Home Lift Pros, is a compact, lightweight, and affordable scooter that gets you to where you want to be in both style as well as comfort. How to Transport the Merits Health Roadster Mini Travel Mobility Scooter . 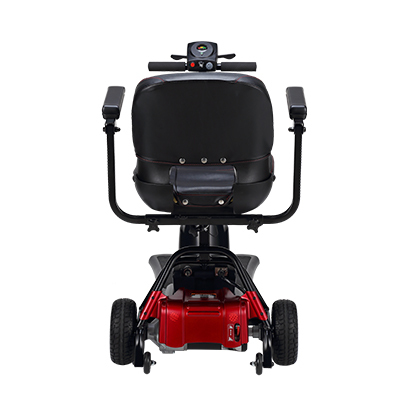 The simple and compact design of the Merits Health Roadster Mini 3-wheel mobility scooter allows for easy transport in the trunk of a vehicle or in the back of an SUV or van. Weighing just 77 pounds in total, once taken apart for transport, the heaviest piece is just over 42 pounds. With the light-weight design, most anyone can lift the pieces to store away. Disassembly and reassembly can be done in a few simple steps without the need of any tools. Because this scooter is so easy to take apart, there really is no reason to purchase a vehicle lift. With the ground clearance of two inches, you may, however, want to consider a ramp for easier access over thresholds or steps. At Home Lift Pros, we have affordable ramps in many sizes. A durable and affordable ramp that is compatible with the Roadster Mini is the Harmar single fold. This ramp can be ordered in foot length between 2-6 feet, with the largest size at only 30 pounds. This ramp is also portable and features a carrying handle so carrying it is easy. Once folded, it is only 14.50 inches which also makes storing it away simple. Discounted Merits Health Roadster Mini 3- Wheel Mobility Scooter for Sale. The Merits Health Roadster Mini mobility scooter for sale is an excellent buy when you are looking for a compact and lightweight scooter. 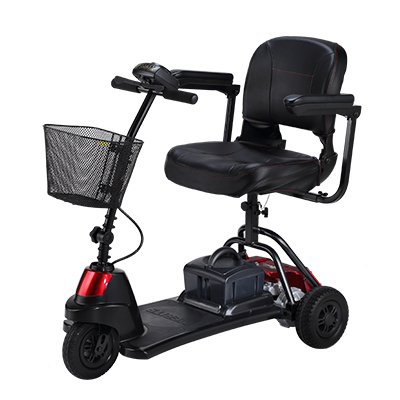 Offering a variety of Merits Health Products, Home Lift Pros can help you find the most suitable compact travel mobility scooter for your needs. 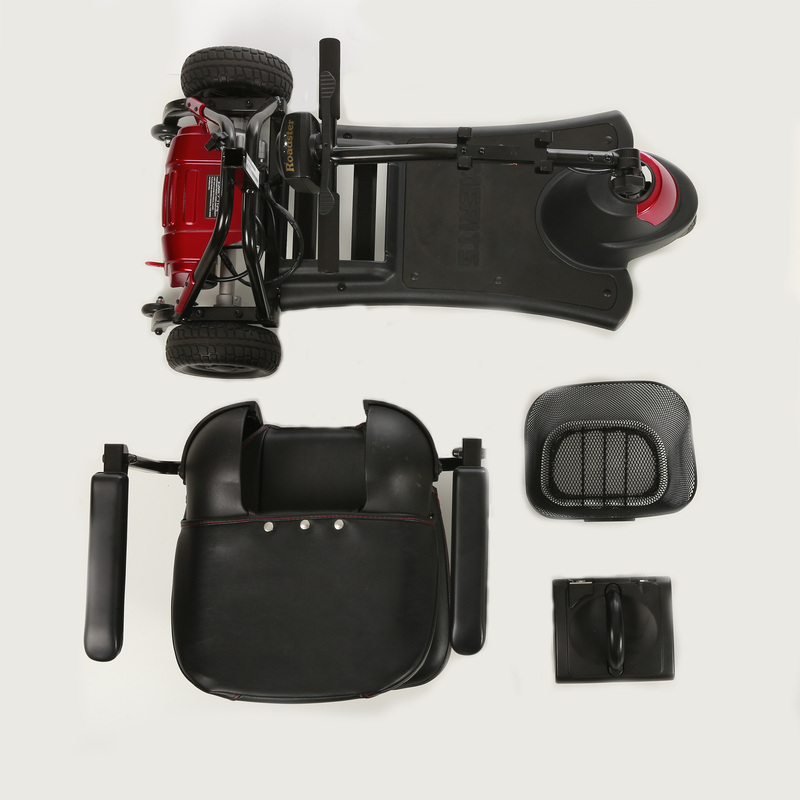 For an average build, the Roadster Mini 3-wheel is a great choice! 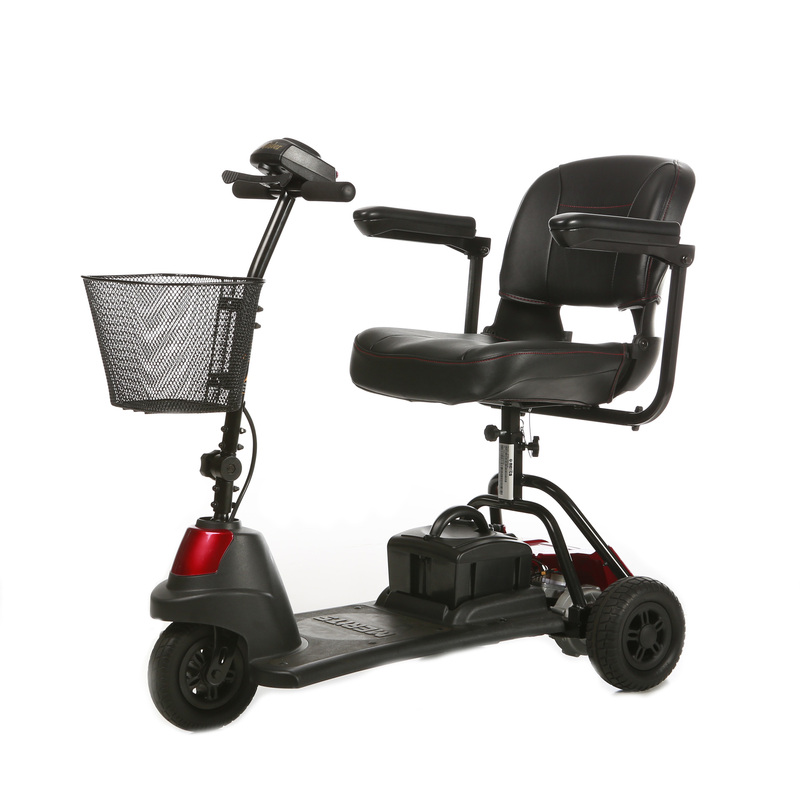 Holding up to 260 pounds with a comfortable 15-inch seat, you can depend on a great ride. If you’d like to see a complete list of all our low priced electric mobility scooter with the option to use inventory filters (i.e. price, brand, speed etc.) click on the main tab at the top of the page. Click here to see all of Merits Health Mobility Scooters that they offer. 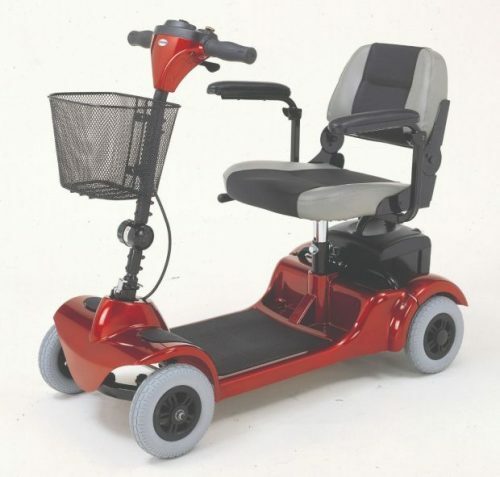 Purchase your Merits Health Roadster Mini Travel Mobility Scooter for sale at the lowest prices anywhere online!